Police confirmed they received reports of concern for safety from a 70-year-old male in the Main Street area of Kilrea on Friday. It followed a claim by SDLP MLA John Dallat that a group who had been watching a loyalist band parade in the village attacked his car. The incident happened on Friday at about 8.50pm. 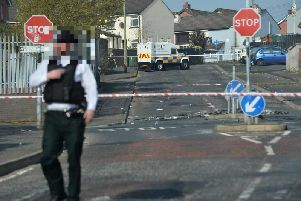 Describing it as a “nasty experience’ the East Londonderry representative said the group surrounded his car, hit its windows and shouted at him. The PSNI stated they were in the vicinity at the time due to a band parade taking place and “were able to assist in resolving the incident”.